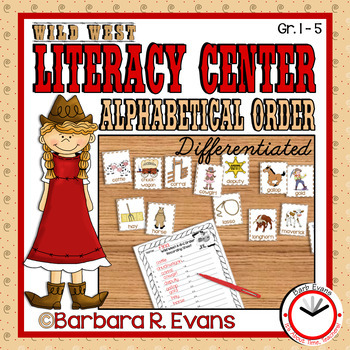 You will round up a lot of learning with this ALPHABETICAL ORDER Literacy Center: Wild West Edition. CCSS aligned and appropriate for every elementary grade level, this center provides ample em>differentiation for any elementary classroom. 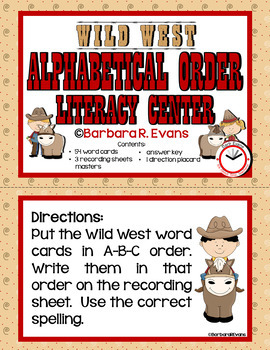 Depending on the age and stage of your learners, you decide how many word/picture cards to have the students manipulate. 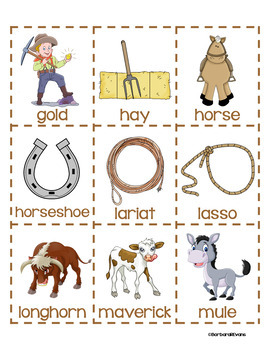 The western themed vocabulary can be sorted by the 1st letter up to the 6th letter. 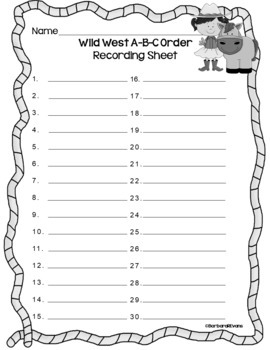 Three recording sheets are included, providing writing lines appropriate to early writers through upper elementary students.